We’ve all seen the recipes. So life moves on and you run out of shampoo. Well with work starting tomorrow, and no time to order the products on Amazon, you hop over to the closest grocery store and buy the large bottle of Pantene because it’s on sale. Well, that was me for a long time until I developed a plan. A plan to start DIY-ing everything that touches my body. A plan to take step-by-step actions, and really truly incorporate these new, natural products into my repertoire. Bye, Bye, Chemicals. Hello, Homemade. Get rid of harsh, carcinogenic chemicals in your beauty routine. Get your step-by-step guide to start and continue making natural, homemade products. Success! Now check your email to confirm your subscription. Sometimes the email ends up in spam, so check there too! Wow! Look at that list of chemical filled products that touch your body. There is a high risk here for products that can cause cancer and other bodily harm. So let’s help rectify that for ourselves, and for our children. Cause mommies….in case you didn’t know we store A LOT of harmful chemicals in our breasts! Which eventually seeps into our breast milk. Step 2. Choose 1 item from the list! Only 1! Find a recipe, and make a list of the ingredients. Then figure out how to obtain those ingredients, and the cost of those ingredients. Include the bottle or tube that will hold the beauty product in your calculations. for those ingredients, then….make it! Mark this date on your calendar! -how long did it take you to receive or buy the items on the list? -Do you want to stick with this recipe or find a different one to try? -How much do you use daily? -How long did it take you to use 50% of your recipe? Step 5. When you have about 50% of your recipe left, it’s time to start ordering to preparing to re-fill the item. Look back at how long it took you to gather the ingredients, how long it took you to use up the recipe, and then you will know when to start ordering or buying the ingredients again. This plan will help you get on track as far as maintaining your beauty product repertoire. Well I’ve got just one more thing for you! 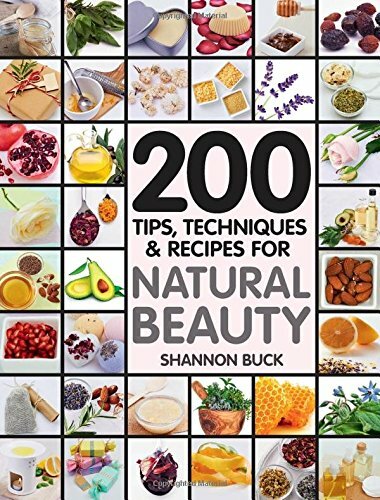 Grab your FREE guide to building your own homemade, natural beauty product repertoire! This will guide you through the process of starting and maintaining your beauty product repertoire. You can do this as fast or as slow as you want. Though I recommend going slow and taking things one step at a time.